Interfaith vigil for immigrants was good. Now let's get to work. 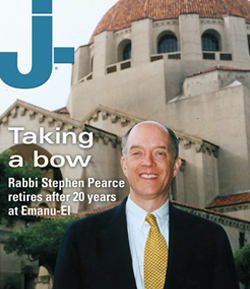 – J. 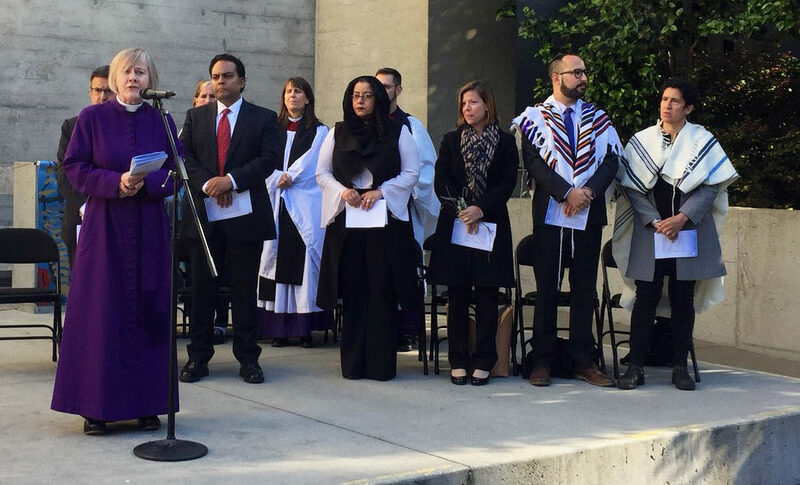 More than 300 people gathered in the courtyard of Grace Cathedral on June 21 to decry the separation of children from their parents. And where is this happening? Not in some far-off country, but in Texas and California, in our own United States! The outcry has been nationwide. We can be proud of San Francisco’s response. 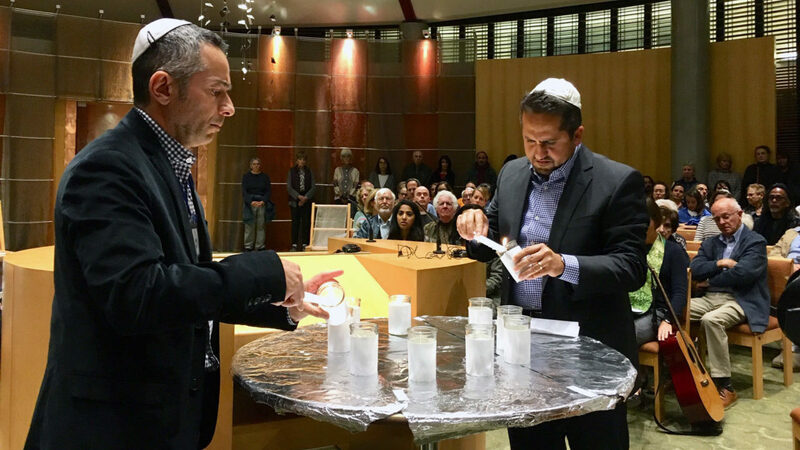 The evening vigil was coordinated by the San Francisco Interfaith Council and co-sponsored by Grace Cathedral and Congregation Emanu-El. 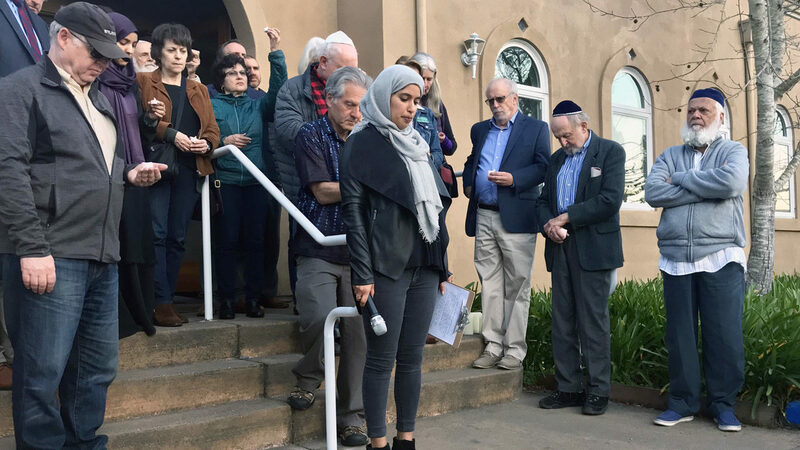 Among the speakers were representatives of the Muslim faith, Bahá’í, Buddhist, Hindu, Brahma Kumaris, Catholic and several Protestant denominations. Abby Porth, executive director of the Jewish Community Relations Council, brought her son, who just celebrated his bar mitzvah. 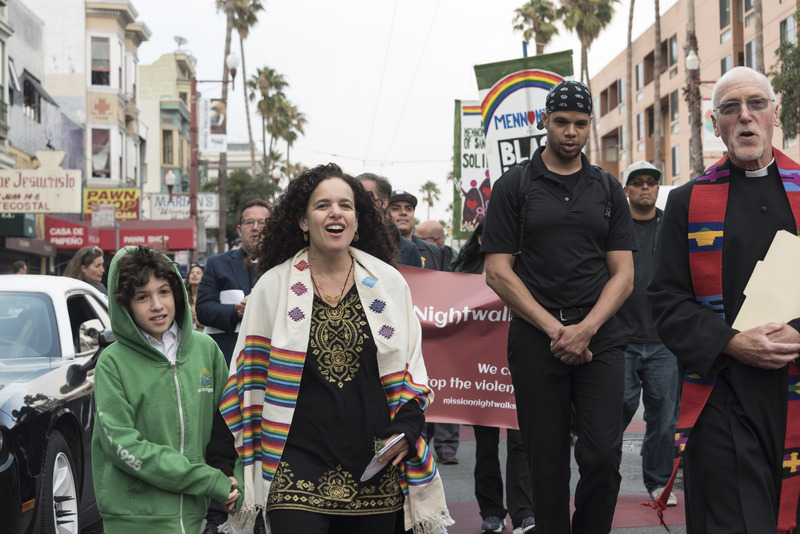 Emanu-El Rabbis Jason Rodich and Sydney Mintz took part, while Cantor Marsha Attie led the group in song. To my mind, the speakers represented what is best in America. And it reminded me of the bumper sticker on my car: We were all immigrants once. Our action cannot stop with one successful vigil. We must continue to make our voices heard. Call your members of Congress. Let them know you stand with them for what really makes America great. Vote in November and be thankful for that privilege. Those words, written by Emma Lazarus in 1883, epitomize the need today. How many of us would not be alive if our relatives years ago or yesterday had not made the journey to America? History reminds us never to forget the past or we’ll be doomed to relive it. This is not Nazi Germany. Those Jews who died in the Holocaust weren’t even immigrants — they were citizens of Germany, Austria, Hungary, Poland. This is the United States, home to millions from all over the world who came for a better life, for a chance to make a living, free from tyranny. These children and their families are looking for what our forefathers looked for — a chance to live in freedom, a chance to go to school, to become citizens of a free and welcoming democracy. This is not the time to be silent. This is the time to act, to make our voices heard. The Jewish community cannot do it alone; but we have made allies to work with and together we are stronger and more effective. Rita R. Semel is executive director emeritus of the Jewish Community Relations Council, past chair of the San Francisco Interfaith Council, and past Human Services Commissioner.